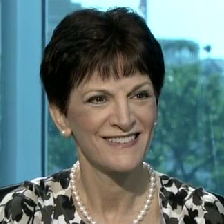 EPPC is pleased to welcome syndicated columnist and political analyst Mona Charen as its newest senior fellow. Ms. Charen’s work at EPPC will focus on women and politics, feminism, and the state of the family. “I am honored and excited by the opportunity to work among the most provocative and forward-looking thinkers and writers in the public policy world. EPPC has never been more crucial to the national debate than it is today,” Ms. Charen said. Ms. Charen began her career at National Review magazine where she served as editorial assistant. In 1984, Ms. Charen joined the White House staff, serving first as Nancy Reagan’s speechwriter and later as Associate Director of the Office of Public Liaison. Later in her White House career, she worked in the Public Affairs office helping to craft the President’s communications strategy. In 1986, Ms. Charen left the White House to join the presidential campaign of then-Congressman Jack Kemp as a speechwriter. Ms. Charen launched her syndicated column in 1987. It has become one of the most widely read columns in the industry and is featured in more than 150 newspapers and websites. She spent 6 years as a regular commentator on CNN’s Capital Gang and Capital Gang Sunday, and has served as a judge of the Pulitzer Prizes. She has also been a fellow at the Hudson Institute and the Jewish Policy Center. Ms. Charen is the author of two bestsellers: Useful Idiots: How Liberals Got it Wrong in the Cold War and Still Blame America First (2003); and Do-Gooders: How Liberals Harm Those They Claim to Help – and the Rest of Us (2005). Please support EPPC now and help Mona Charen and all of EPPC’s scholars as we work to advance public policies that are faithful to America’s ideals and to our Judeo-Christian moral tradition.